A study found that medical errors are the third leading cause of death in the United States and result in around 250,000 individuals losing their lives each year. Medical malpractice is a scary topic because it involves a basic trust that occurs between a patient and their physician, nurse, or hospital. In many cases, the patient isn’t properly educated or aware that the doctor has committed malpractice. 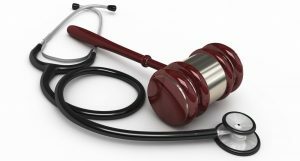 Here are a few signs that you might be a victim of medical malpractice. When a physician or another healthcare professional makes an error, this isn’t necessarily malpractice. For the law to consider the error malpractice, the medical professional doesn’t meet the basic standard of care, and, in turn, this negligence led to an injury, worsening of symptoms, or death. Surgical errors: Several types of common surgical errors exist, including leaving behind an instrument or sponge, severing a nerve or artery that led to uncontrollable bleeding, or even a surgeon who performs the wrong operation. Late or wrong diagnosis: A misdiagnosis or a delayed diagnosis can lead to improper treatments or a patient could suffer additional injury or death because the physician failed to provide the right treatment in a timely fashion. Prescription medication mistakes: Some doctors prescribe patients the wrong medication, dosage, or a medication that interacts poorly with other medications they take. Childbirth errors: Unfortunately, if negligence exists during childbirth, this can lead to a variety of life-changing conditions, including cerebral palsy. Negligence during an expectant mother’s pregnancy, including failing to diagnose gestational diabetes or allowing a mother to needlessly suffer through a traumatic or unnecessarily long labor and delivery, can also commonly lead to the filing of a malpractice lawsuit. When you go to your doctor or emergency room with a minor complaint or serious illness or complications, you expect that doctor to take a thorough medical history and perform necessary tests to achieve an accurate diagnosis. If a doctor fails to meet the minimum standard of care by not providing the patient with a complete and accurate diagnosis, this can lead to a host of problems down the line. If you recently went to a doctor’s office and the doctor diagnosed you quickly without you receiving a complete physical examination or tests traditionally used to provide a clear answer, this could be negligence. For example, if you go into the doctor’s office complaining of a sore throat and the physician doesn’t run any tests or doesn’t perform a cursory examination of your tonsils and throat, and you later have strep throat that lead to serious complications, this could be grounds to file a lawsuit. After a diagnosis, especially when it is devastating, many patients will seek a second opinion. In addition, if you learn that your first diagnosis was false after visiting other doctors, this can be upsetting as well. Unfortunately, in addition to the living with a diagnosis that wasn’t correct, many patients will also undergo treatments to treat the illness. For example, a doctor might diagnose a patient with cancer and, before seeking a second opinion, the patient undergoes radiation or chemotherapy treatment at the urging of their original doctor. The side effects of both treatments can be devastating and can take days or weeks to recover from. Depending on the diagnosis, your physician will provide a variety of treatments to cure the disease or lessen the symptoms. The doctor will also give you a list of potential side effects and, in some cases, a timeframe for when the treatment will become effective or when the patient will start to feel an improvement. If you take the prescription or complete the therapies as prescribed and your condition doesn’t improve or gets worse, your doctor’s duty is to alter your treatment plan. A doctor who doesn’t follow your treatments closely and doesn’t make any changes as needed doesn’t fulfill their duties as a caregiver. A clear sign that your doctor was negligent or that you may have the grounds to file a successful lawsuit is when your physician stops taking your calls or doesn’t be upfront or clear about your health or treatment plan. The communication breakdown could happen because of their fear of a medical malpractice suit. Your physician, healthcare provider, or the clinic or hospital’s attorney may have recommended they stop communicating with you. If your doctor refuses to speak with you, contact an attorney to learn about your options. The trusting relationship between a doctor and their patient can often make determining if you are the victim of medical malpractice difficult. If you have any additional questions, contact Otorowski, Morrow and Golden, PLLC.